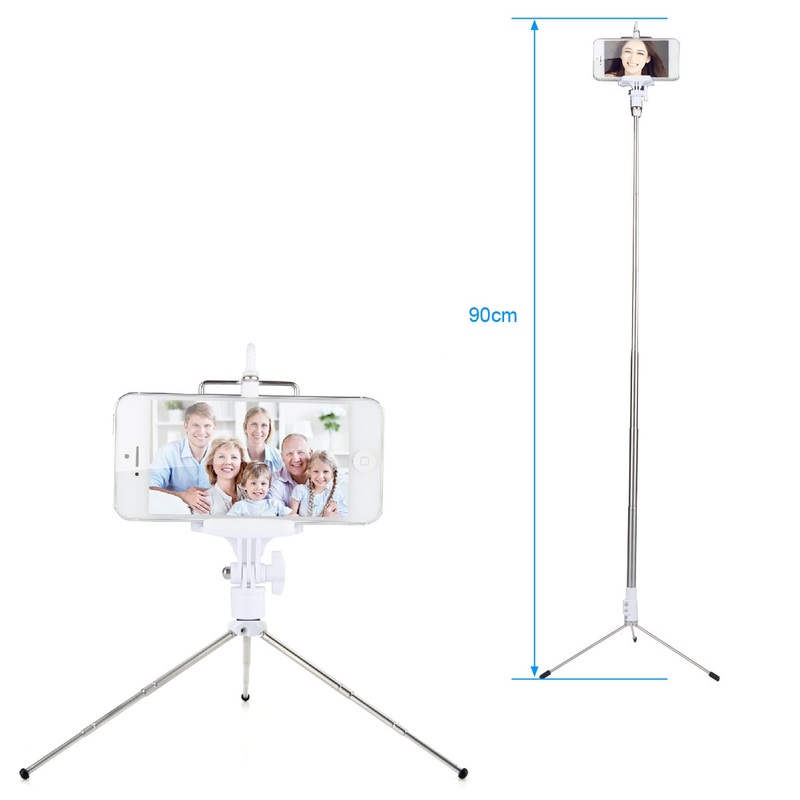 This selfie stick/ monopod has everything you need for selfie or group photos. This is the best set I have seen by far. Easy to set up use, and is versatile. We didn't even think of setting the monopod up to the tripod that opens up a whole new world for our family alone. This fits right inside my regular camera bag which also holds my ipad mini. I have everything I need in one pouch for all of my picture needs. 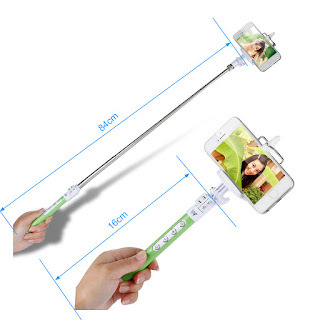 You can purchase the Maze Techno Selfie Stick on Amazon. 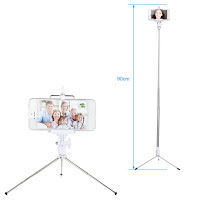 - Feature brand new and high quality Multi-function Selfie Stick with Tripod Set. Fashionable people's pursuit and taste for fashion has been fully considered by us. We have designed 5 colors for your selection to meet diversified demands. Perfect for travel, easy mount on, adjustable length can be extended to 33 inches. 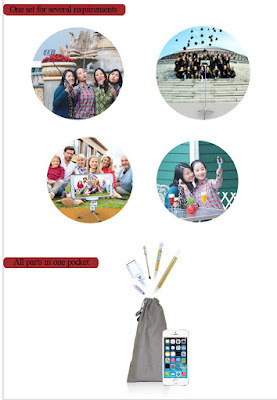 - Easy Carry: Super light weight with pocket size, come with a cloth pouch can put in Phone Frame, Tripod, Hand Shank, Expansion Link. Its portability design guarantees that it never becomes the burden of going out or travelling. - New visual angle for better memory: Snap group pics without anyone being left out - Capture yourself with Full stunning background view. - Stabilization: No shaking while taking selfie or video recording. Compatible with iPhone 6 6 Plus 5s 5c 5 4s 4, Samsung Galaxy S6 S5 S4 S3 S2 Note 4 3 2, HTC One M8 M7 X, Google Nexus, Sony Xperia Z3 Z2 and other Android smartphones with Android 2.3.6 or above system. Latest Version of Wireless Bluetooth Monopod with built-in remote camera control function and FREE Tripod set for Multi-function phone photo-taking section All-in-one! * Extremely lightweight, high strength and stable in use. * Extendable stick as long as 80cm, with adjustable holder it allows random rotation of shooting angle. * Compatible with iOS 5.0 and Android 3.0 system or above. Note: If you are going to use an Android phone after iPhone (vice versa), please keep pressing the button down for 10 seconds for system switch. * NOTE: iPhone can ONLY use the shutter button WITHOUT zooming function. * To check if the zoom works for your Android Smartphone, please enter your camera APP and see if there is an option for volume setting.